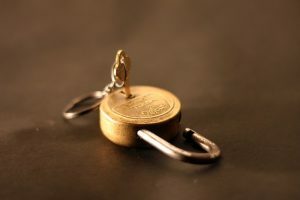 Posted on April 9, 2019 by Richard S.
When you are moving you need to think about everything. You need to cover absolutely everything. Time management is the most important. Start planning on time. So, let’s say you have planned everything, and everything is going great. However, you have something very important to move with which you ought to be extra careful. You cannot simply put it in a moving truck and hope for the best. If you own a gun, gun safe movers are a must. There are numerous great reasons why you should hire them. International movers Kuwait is one of the best. If you are still not sure, let’s see some good reasons why you need to hire gun safe movers. Having a gun brings a lot of responsibility. You cannot carry it around like it is nothing, same goes with the moving process. It may seem very simple to just put it in a box and move it, but this is not safe. Even though it is empty there are rules to be followed. That is where the gun safe movers come to the scene. One of the very important things that you will get by hiring gun safe movers is ease of mind. By having professionals do this part of the move for you will make calmer and it will be easier for you to dedicate your time to other important things in this moving process. If you have to have it shipped, hire top shipping companies in Kuwait. There are excellent solutions for this type of move. You just need to investigate. Are you wondering do every moving company does this type of move, or there is some special company that is dedicated especially to moving things like weapons? If you are wondering this, it is a completely legit question. There are in fact moving companies specialized for this kind of moving. However, there are a lot of other moving companies that will move you gun among other regular things. You just need to check with them and their rules and working policy. There will be a lot of paperwork probably, you are moving a gun at the end of the day. That is why you need to hire a certified moving company, we will talk about that more bit later. Get movers who specialize in moving safes. Once you hire gun safe movers you have to prepare all the necessary documentation that they need to have insight in. That means that you need to show them the license for that gun and all other documentation you may have. Next thing to do is to remove all the bullets from the gun. Pack them in their box, separate from the gun. All of this has to be done without saying because if you miss at least one of the necessary papers that you need to have in order to even have a gun, no moving company will want to transfer your gun. When you own a gun, you have a safe as well. 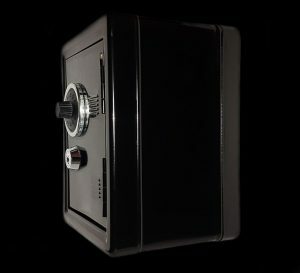 These safes can be extremely heavy and hard to transport. You can get injured very easily if you decide to try to move this safe on your own. This is just another good reasons among so many others why you should let professionals do this for you, and why you need to hire a moving company that will move your gun and safe in no time. Your part of the job is just to prepare the paperwork. If you want to leave the gun inside of the safe during the move, the gun must be unloaded and bullets separated from the gun! This is the only and the safest way to transport your safe. If you do not want your gun to be in the safe during the move, the rules do not change. All of the ammunition needs to be completely separated during the move. Safety first! In most of the moving cases, DIY way of the move is usually a good idea. Mostly because you will save money on hiring the moving company. However, when you are moving a gun this is not the case. The DIY way can be a bad way to handle things. You need to ask yourself do you have the necessary equipment. Do you have enough people to help you move the safe that can be extremely heavy? Do you really need this huge responsibility, when you know that there are people who will handle this professionally and in no time, while you concentrate on other things that you need to move? Ask yourself these questions before you move, and if the answer is yes to all of them, then go for it, move it yourself, but bear in mind that this can go easy and with no worries on your mind whatsoever if you hire the gun safe movers. There are so many reasons to hire gun safe movers to even count. Yes, you need to pay the moving company but this is something on what you shouldn’t save money on. It is important that everything goes in perfect order when this type of moving is happening. Priority is safety! That is all you need to think about. By hiring the right people, you will be calm and able to bring your move to the end without any single issue or inconvenience.